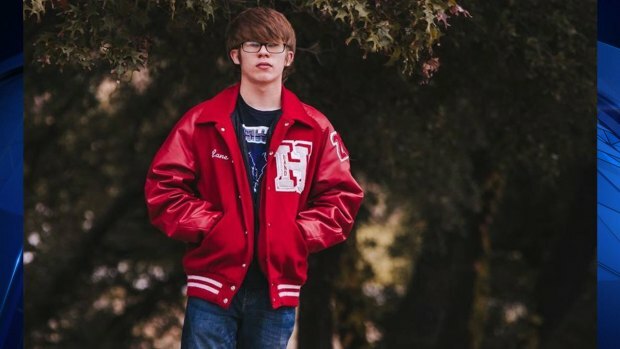 A Hico, Texas, teen said he’s too embarrassed to return to school after he claims he was pulled from class Tuesday to have a teacher cut his hair. Sixteen-year-old Lane Kiesling said he had been told three weeks before that his swooping bangs that fell below his brows were against the district's dress code. "It was well below my eyebrows but it was on top of my glasses so it never got in my eyes. It just got close," Kiesling said. Kiesling’s hair around Christmas, two months before he says it was forcibly cut. His mom said her son had passed along the news and the two knew a haircut needed to happen. But without transportation and a small budget, she said it kept getting put off. "Money's really tight right now. We just moved and there's a lot of expenses and a haircut's just not even on my radar right now," said his mom Amy Martin. She said she never imagined the district would take matters into their own hands. 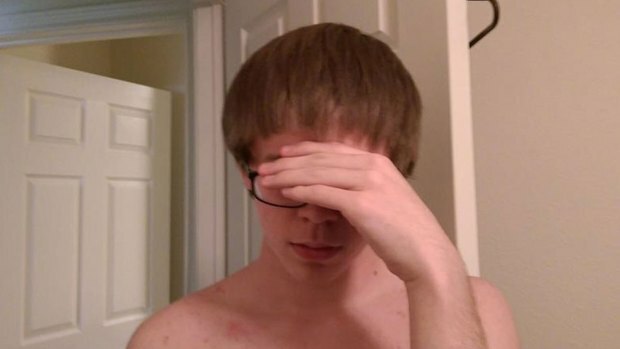 According to Kiesling, he was told by his principal Tuesday morning that a teacher with a cosmetology license would give him a haircut after school. Instead, he said he was pulled from his 7th period class and met with what looked like craft scissors. "I got sat down and she got ready to cut my hair and then told me she's only cutting my bangs," Kiesling said. He said he was then sent back to class where he was met with laughter and mockery until the school day came to an end. "It looked like if I were to take the kitchen scissors and just pull it out and bluntly over and over cut, because you know it was just very choppy like Jim Carrey on ‘Dumb and Dumber’ but rounder and a little bit shorter. That's exactly what it looked like," Martin said. Kiesling says this picture was taken after his principal took him to a barbershop to have the cut evened out. He says he was too embarrassed to take a picture after the initial chop. Martin said the principal did pick up her son later that day to take him to a barber shop to have it evened out. Still, she believes it was unnecessary. According to the district's student handbook, "If the principal determines that a student's grooming or clothing violates the school's dress code, the student will be given an opportunity to correct the problem at school. If not corrected, the student may be assigned to in-school suspension for the remainder of the day." Both mother and son agree the latter would've been a better option. "I know it's just hair. It grows back. But it's not like she just gave him a haircut. She hurt his self-esteem. His self-image. That's the problem," Martin said. The district didn't respond to questions about how the haircut happened but sent a statement saying, "As part of our commitment to provide a safe and secure learning environment, Hico ISD has a student code of conduct and student handbook that is comprehensive. Student expectations are shared at the beginning of every school year. We also ask parents to sign off on our procedures which are based on community values. We encourage parents to be involved in decision-making processes, share how they feel about district operations and to share any concerns with their child's principal. Ultimately, our priority is to educate and support the well-being of every student in Hico ISD."